Back Pain Treatment: We use a non-twisting method of chiropractic along with many therapies, including traction of the low back, to get the quick results by addressing not only the bones but the muscles and other soft tissue as well. Whether you have a general ache, muscle or sciatica pain, chiropractic adjustment will help to get you back on track. Shoulder Pain Management: A number of factors are known to cause shoulder pain, we provide shoulder manipulation as well as therapy to help relieve pain and restore motion and use. Neck Pain Relief: As a chiropractor I understand some peoples hesitation to seek chiropractic help for neck pain. At Achieve Chiropractic we offer several non-twisting methods to address any misalignment of the bones of the neck. Also we use therapies and muscle work to help address many causes of neck pain. Headache Remedies: Headaches are usually a symptom of a larger problem or illness. Though aspirin, ibuprofen and similar pain relievers are effective for some headaches, we prefer to treat the cause of the problem, rather than just cover up the symptoms. Through chiropractic adjustments and soft tissue manipulation we look at what may be causing your headaches. Sports Medicine: Dr. Eric has worked with all levels of athletes from youth AAU through a Gold Medal Olympian, he looks at the human body as a performance machine. Looking at the human body as a performance machine, trying to find any dysfunctions and restoring proper motion will increase performance and help keep the machine healthy. Sciatica Management: We see how hard life can be when dealing with sciatica, therefor we work to deal with the primary cause as well as any secondary aggravating factors. 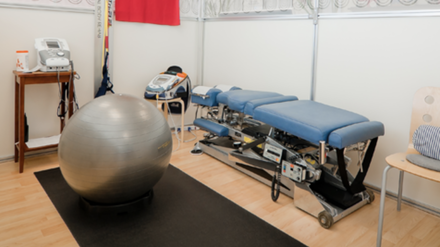 Whether it is from a disk bulge, a sacroiliac joint inflammation or piriformis syndrome, we can work on the area to get you better and active again. Are you experiencing Neck Pain, Back Pain, Shoulder Pain, Migraine Headaches or other Nerve, Sports or Accident related Injuries? ​Performance-Based or Natural Holistic Care? ​CARE TO LEAVE US A REVIEW? 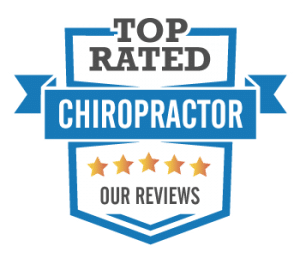 COPYRIGHT © 2019 ACHIEVE CHIROPRACTIC LLC | ALL RIGHTS RESERVED.